Middle East Perspectives by Rick Francona: Three Afghan Taliban leaders captured - a shift in the ISI? Three Afghan Taliban leaders captured - a shift in the ISI? The recent arrests of three senior Afghan Taliban leaders in Pakistan may just signal an important shift in the Pakistani intelligence service's willingness to engage the Taliban. The three include the Afghan Taliban military operations chief, second only to Mullah Omar himself, and two provincial Taliban leaders. Another factor that comes into play here, and I am willing to bet that this factor was engineered by American intelligence officers working with the Pakistanis. The arrests were initially kept secret - this makes sense. When you capture a senior leader, you want to exploit whatever he knows before his organization realizes that their operations have been compromised. 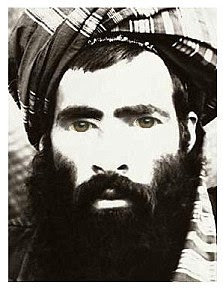 As soon as the Taliban realized that 'Abd al-Ghani Baradar was in Pakistani and American custody, they would have taken immediate steps to cancel any pending or imminent operations, change communications methods and move out of locations of which he was aware. Holding him incognito as long as possible preserved the value and extended the longevity of any information extracted during interrogation. After a few weeks, the arrest was widely publicized in Pakistan, Afghanistan and the rest of the world. In part, this has an psychological effect on the entire Taliban - that's good. I suspect the CIA officers working with the ISI wanted this made public also to prevent an "escape" of the detainees. The ISI has many members that are sympathetic to both the Taliban and al-Qa'idah, most of them are of the same ethnic group, and maybe even of the same tribal groupings. I am reminded of the "imminent surrenders" of both Mullah Omar and 'Usamah bin Ladin in 2001 - then all of sudden, they "escape." What happens/happened? Money changes hands, tribal loyalties come into play, etc - and they escape. Pakistan has become a key battlefield in the war against al-Qa'idah and the Taliban. CIA drone-launched missiles have taken a real toll on the al-Qa'idah leadership over the last two years - these attacks have been stepped up under President Barack Obama. These three arrests are significant in that they target the Afghan Taliban leadership, not that of al-Qa'idah. This will no doubt have an effect on the war in Afghanistan by taking senior Taliban leaders out of the picture.